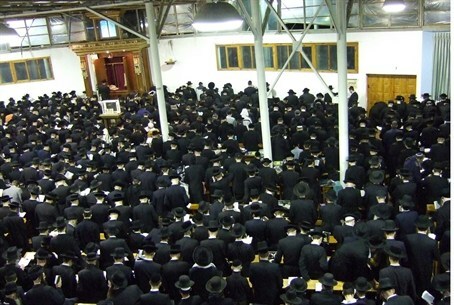 View photos from the central penitential prayers in the biggest synagogue in Uman, Ukraine. As Jews around the world celebrate the holiday of Rosh Hashanah, the Jewish New Year, the photos below document the central Slichot [penitential] prayer service in the biggest synagogue in Uman, Ukraine, as well as the atmosphere on the streets of the city right before Rosh Hashanah. Breslover Hassidim and others have begun a custom of going to Uman to pray at the gravesite synagogues of their spiritual leader, Rebbe Nachman of Breslov, who passed away in the month of Tishrei of 1810. All photos by Shmuel Ben Yishai and Shlomo Meir, News 24.